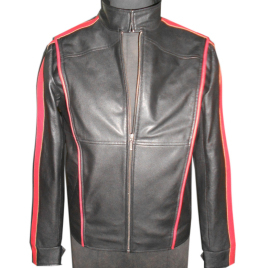 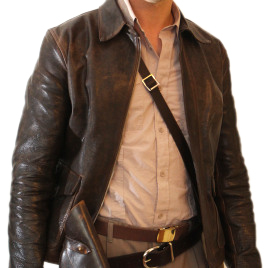 Perfect for strolling through the Citadel, exploring off-world colonies or just lounging in your cabin, this slick leather jacket features red racing stripes along the sleeves and piping down the front and back, two hand-warmer pockets and snapped cuffs. 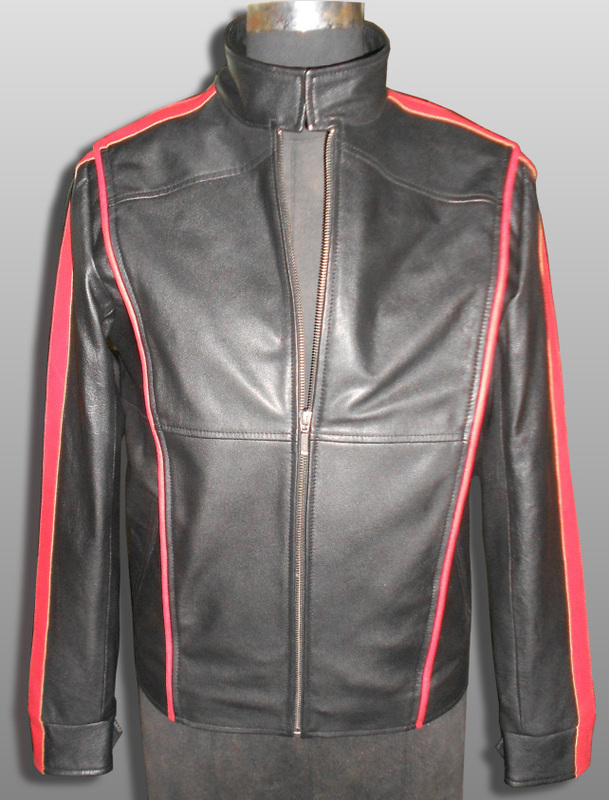 Shown in black goatskin with red detailing (please e-mail us if you'd like a color other than red for the contrast detailing). 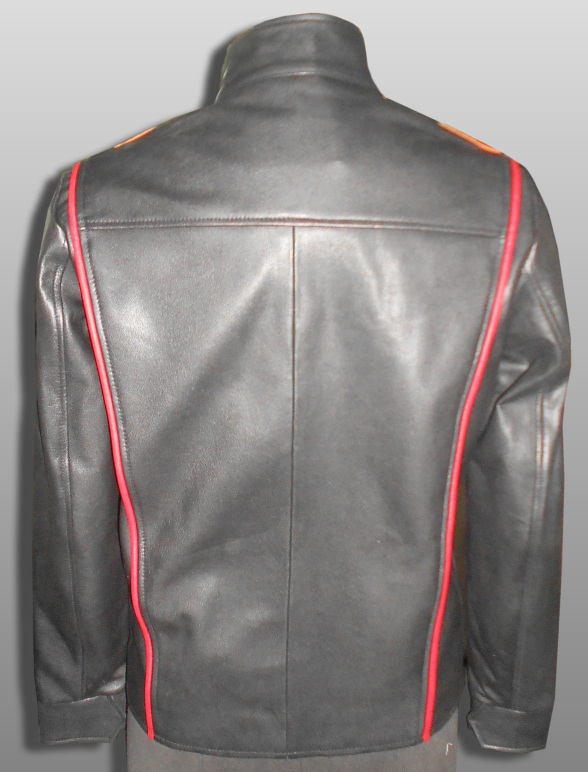 Fully lined in black satin with interior pockets.